Describe yourself in five sentences: For some reason, bios are incredibly hard for me to write – mine always end up sounding like a terrible online dating profile! Here goes though: I grew up outside Detroit and went to college and law school at the University of Michigan (Go Blue!). I’ve been living in Chicago for five years and although I love it here, I still feel like a Michigander at heart. Growing up, I spent a ton of time in northern Michigan (nowhere nearly as swanky as Green Island…), which inspired much of the backdrop for Leaving Green Island. Right now I’m busy working on a sequel to Leaving Green Island and spending as much as possible with my (amazing) husband and (also amazing) baby girl. What are your books about? 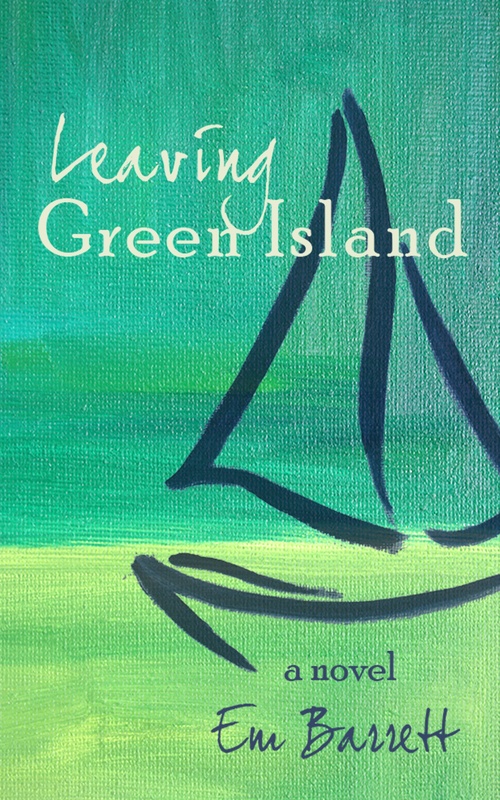 Leaving Green Island is a modern love story, but I think it’s more than that as well. The plotline focuses on protagonist Brecken Pereira’s conflicting emotions as she reconnects with an old flame while also engaged to a wonderful guy. As she navigates these relationships, she also struggles with issues relating to her work and her friendships, generally grappling with the complex world of today’s twenty-something women. While the romantic plotline is what drives the pace of the book, Brecken’s close and complicated friendships are central forces that shape the story as well. People would be surprised to know that you…? I really hate flying! While I do fly to get the places I want to go, I dread it every time. What are your guilty pleasures? The Bachelor, watching “Call Me Maybe” Youtube videos, and eating Jeni’s Ice Cream. What is you favorite word? Why? I have so many! Right now “ethereal” is definitely one of my favorites – I love how it sounds and the image it evokes. If you could meet another author, who would it be? Hmm, that’s a tough one! I think Antoine de Saint-Exupery… The Little Prince is such a unique and creative book, and it has held a special place in my heart all my life. It would have been amazing to have met Antoine de Saint-Exupery in his lifetime. What was your favorite part of the writing/editing/publishing process? And your least? My least favorite part is probably the editing because it’s so tedious and never seems to be done. As far as my favorite part, I think that was the surreal experience of seeing my book listed on Amazon for the first time. What is the best advice you’ve been given? My mom is always reminding me to “be here now”. Life goes by so quickly and we all have a lot to manage, so I think just trying to live in and make the best of each moment is really important. Em, liked getting to know more about you. Congrats on your book and all the best with your sequel and getting your baby girl to sleep through the night!